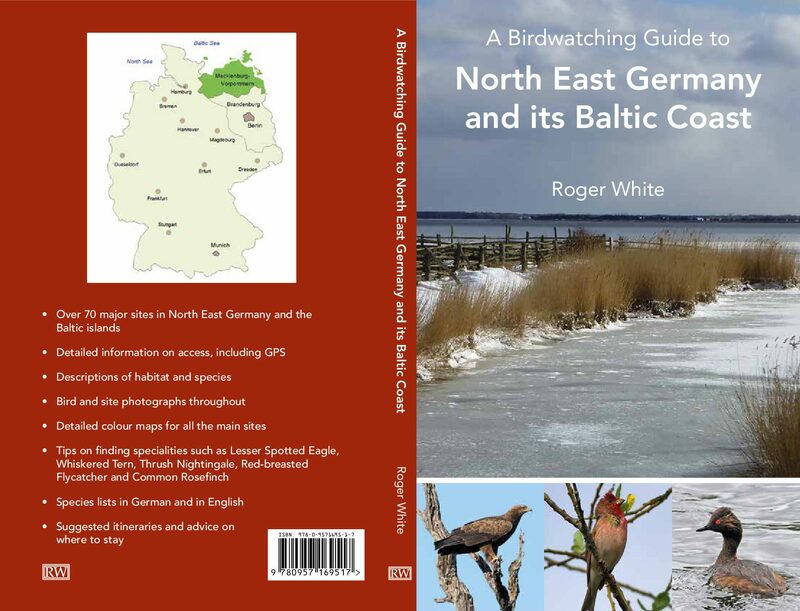 There are two ‘Where to watch birds’ guides in the English Language which cover the East and North East of Germany and its Baltic coast. The first one covers the city of Berlin and the surrounding State of Brandenburg, up to the Polish border. The second book covers the area to the north of Brandenburg up to and including the Baltic coast and Islands. Both books describe the best sites with detailed maps, and the likely species and provide suggested itineraries. A Birdwatching Guide to Brandenburg and Berlin 2012 ISBN 9780957169500 RRP £19.95 covers the State of Brandenburg in east Germany and the city of Berlin. Best ‘where to watch birds’ I have seen (Ibis). Beautifully produced Birding Guide (Birding World). This wonderful book… (Buteo Books). Excellent site and species summaries (Birdwatch Magazine). Well-researched and clear guide (BTO). A very good guide (Fatbirder). Practical and very pleasing layout (Alauda). The right level of detail (Dutch Birding). For visitors to Berlin, this new guide is indispensable (American Birding Association). Available direct from the author. roger.white4@virgin.net, and from booksellers including NHBS, Subbuteo books, Wildguides, Wildlife and Wetlands Trust and Amazon. . In USA from Buteo Books. Describes 110 sites with detailed information on access, habitat and species. 92 coloured maps and 62 photographs. Tips on finding sought-after specialties such as White-tailed Eagle, Lesser Spotted Eagle, Great Bustard, Little Crake, Spotted Crake, Thrush Nightingale, Icterine, Marsh and River Warbler. The best sites for seeing thousands of wintering geese and for witnessing the huge autumn Crane roosts. Suggested itineraries and recommendations on where to stay in this exciting but under recognized region. It covers the State of Mecklenburg-Vorpommern in the north east of Germany plus the Baltic island of Fehmarn in the neighbouring State of Schleswig Holstein. A revised and expanded edition was published in March 2018. The original text has been updated as necessary and new sites have been added. 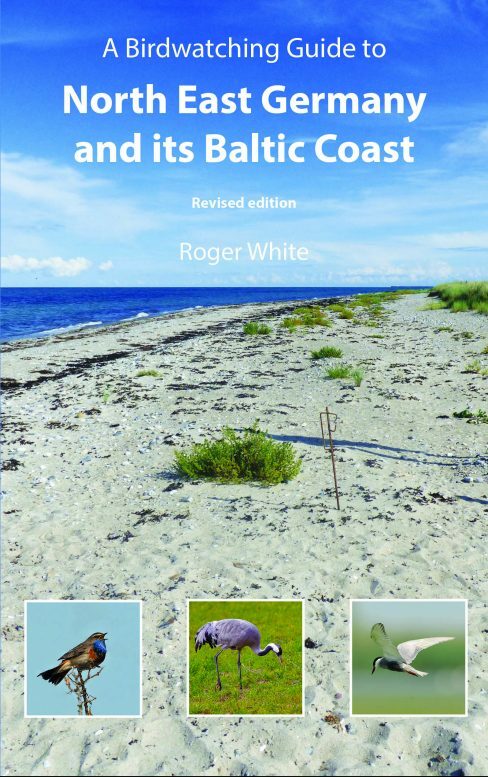 As well as the island of Fehmarn, other parts of the Baltic coast of Schleswig-Holstein are now included. There are new sites along the north coast of Mecklenburg-Vorpommern, and there is improved coverage of the lakeland areas around Muritz National Park. Over 90 sites with detailed information on access, including GPS. Descriptions of habitat and species. Tips on finding specialities such as wintering Geese, Smew, Long-tailed Duck, Lesser Spotted Eagle, Whiskered Tern, Thrush Nightingale, Red-breasted Flycatcher and Common Rosefinch. Suggested itineraries and advice on where to stay. This is a fully illustrated, comprehensive guide in the German language to the five major States of eastern Germany. However, it does not include any sites in Berlin. The journal der Falke http://www.falke-journal.de is the leading birdwatching journal for Germany. The website gives English translation. Fatbirder has descriptions of the individual German States and their bird-life, and lists tour reports. http://www.Orni BB-Ornii BB.de is a website for members only, covering Brandenburg and Berlin. Ryslavy T, Haupt H and Beschow R. Die Brutvoegel in Brandenburg und Berlin – Ergebnisse der ADEBAR-Kartierung 2005-2009. Otis Band 19 – 2011 ABBO.